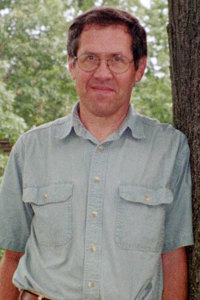 Kenneth Streit joined the Frank J. Remington Center's Legal Assistance to Institutionalized Persons Project (LAIP) in 1990. He supervises students who serve clients at Wisconsin's three prisons for women (Taycheedah, Ellsworth, and Metro); Dodge Correctional Institution (located in Waupun); and the twelve minimum security centers. A large volume of this legal work involves family law and child welfare issues. In conjunction with his background analyzing juvenile justice and child welfare policy, Prof. Streit and his students recently began representing juvenile offenders at Ethan Allen (boys) and Southern Oaks (girls). Prof. Streit has also taught Substantive Criminal Law, Professional Responsibilities, and Juvenile Justice Administration at the Law School. Prof. Streit regularly consults with state and county juvenile justice administrators and judges on effective programs, advises state legislators, and acts as a guest speaker at meetings and on radio. During his first year at the Remington Center, he wrote a legislatively mandated report which led to the creation of a separate secure correctional program for juvenile girls. During subsequent years, he assisted the legislature and the Department of Corrections in developing and evaluating adult community corrections programs. Prior to joining the Remington Center, Prof. Streit advised the Secretary of the (then) Wisconsin Department of Health and Social Services on policy issues involving adult community corrections, juvenile justice, and child welfare. Because of the tremendous differences in the degree of problems experienced by Milwaukee County compared to other areas of Wisconsin, most of his assignments focused on Milwaukee and other large urban areas. He was loaned to Milwaukee County for six months to develop a reorganization plan for its human services agency, which was (eventually) implemented. At Northwestern University, Prof. Streit was the Senior Student Editor for Clearinghouse Review, a monthly publication for Legal Services Corporation attorneys including feature articles and summaries of litigation regarding poverty law issues. He moved to Milwaukee in 1974 and became a staff attorney for Legal Action of Wisconsin, specializing in litigation on behalf of adults and children with physical or mental disabilities. This led to his move to Madison in 1977 to develop and staff the Wisconsin Coalition for Advocacy, the federally mandated statewide advocacy system for developmentally disabled persons. With the addition of more staff, Prof. Streit was able to focus more time on using litigation and the legislative process to promote special education, foster care, and community service issues unique to children.